This is a service for everyone! You do not need to be enrolled in our program in order to take advantage of the service. When staying home is just not an option, you can depend on The Britleys for Toddlers to provide daytime and non-medical quality home care for your sick child. Children need to be home when they’re sick, but sometimes that’s easier said than done. When parents work, or just can’t be there to care for their sick child, there are not many daycare or back-up options available in Washington DC. That’s why we’re here! 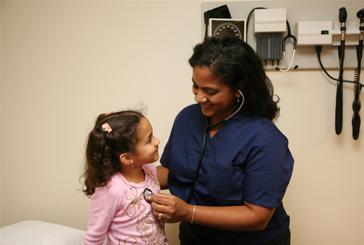 Our Sick Childcare Program for children (ages 2 to 12) allows you to be at work while we provide trustworthy and professional staff to care for and nurture your sick child in the comfort of your home. The Britleys supports families with only minor illnesses, such as fever, cold, flu, and the like. Our program is non-medical care and our caregivers are not nurses and, therefore, can only provide companionship, care and; prepare light meals if needed. Our back-up sick childcare program supplements, rather than replaces normal care arrangements and is a comforting emergency alternative when you need it most. Office Hours: Monday through Friday 7 a.m. to 6 p.m.
Parents will be required to complete a one-time service agreement at the time of registration. The Britleys charges hourly for services. There is a four hour minimum charge. A cancellation fee of $35 is charged for service that is set up and cancelled with less than 24 hours-notice. If the booking is cancelled with less than 2 hour notice, the client is responsible for paying the minimum booking fee of $50.